Are you looking for a beautifully maintained home with a price reduction in idyllic Broadmoor??? This Lovely Raleigh Model corner lot home nestled in the back of the coveted Broadmoor neighborhood boasts a spectacular location, offering a wonderful sense of openness and light. This lovingly maintained home has beautiful curb appeal, with the front of the house accented with Springtime blooming Bradford Pear Trees, White Dogwood Trees, and perennial flowers in the garden. A one block walk to Broadmoor Park and Playground, this home offers a huge front and side yard with an in ground sprinkler system with nine zones to keep the lawn lush. Additionally, there is a 6 foot cedar privacy fence enclosing the backyard area, perfect for children, family and friends. There is also a spectacular cozy covered porch--great for relaxing all year round. The vinyl exterior of the desirable house is maintenance free! Inside this light-filled home, there are hard wood floors throughout. 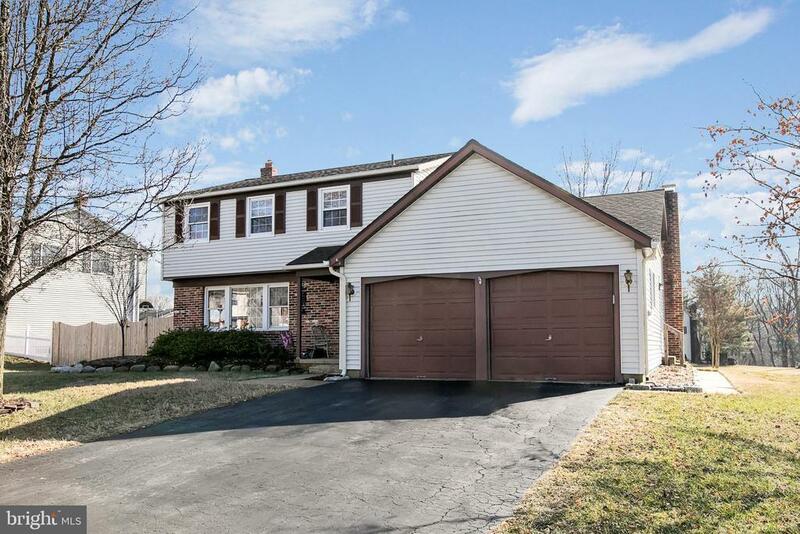 The spacious family room, half-finished basement, stairs and upstairs hallway have fresh new neutral carpeting, and the kitchen floor has gorgeous new ceramic tile. With four bedrooms and two and a half bathrooms, there is plenty of room for fun and family parties. The interior of the spotless home has been freshly painted. The finished basement will be great for a playroom, or man cave, and has a one year old sump pump. There is plenty of storage in the other half of the basement as well as pull down steps for the fully floored attic and storage space in the two car garage. The central air conditioning unit is one year young, and ready to keep you cool this Summer. The owners have lovingly maintained this gem, and it is a perfect place to raise your family. Come see it for yourself and fall in love." Directions: Somerdale Road to Roberts Drive (Red Light) to #364.